SFP+ RJ45 Fiber To Ethernet Media Converter 12VDC 10G Base -T To 10G Jumbo Frame for sale – Fiber Ethernet Media Converter manufacturer from china (107941959). 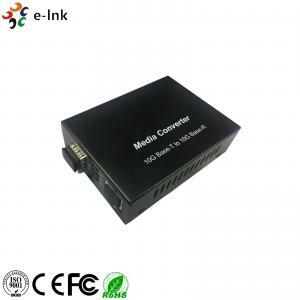 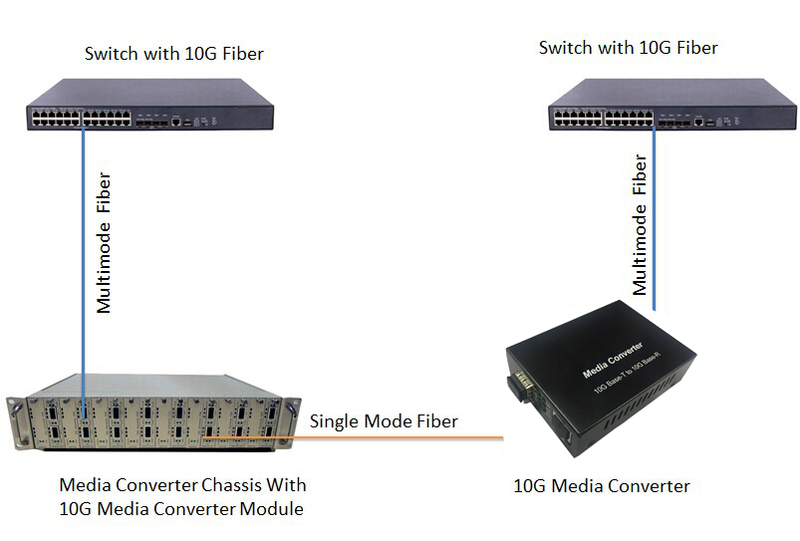 E-link 10G Base-T to 10G Base-R Media Converter supports two types media for network connection such as 10GBase-T and 10GBase-FX. 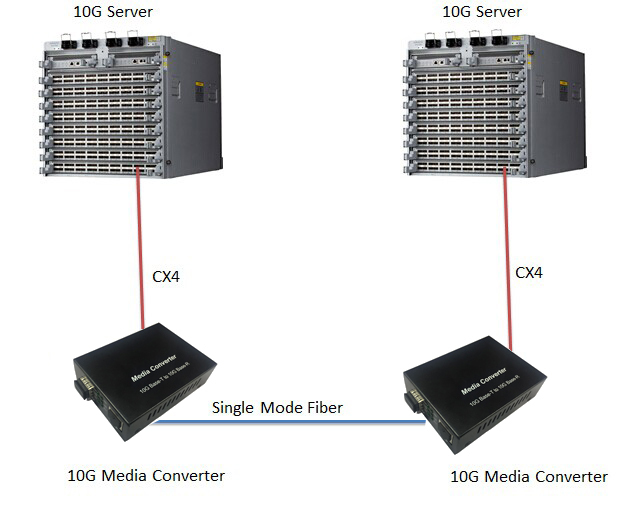 The bridge media converter is designed with a 10Gbase Ethernet PHY chip that connects two types segments operation smoothly. 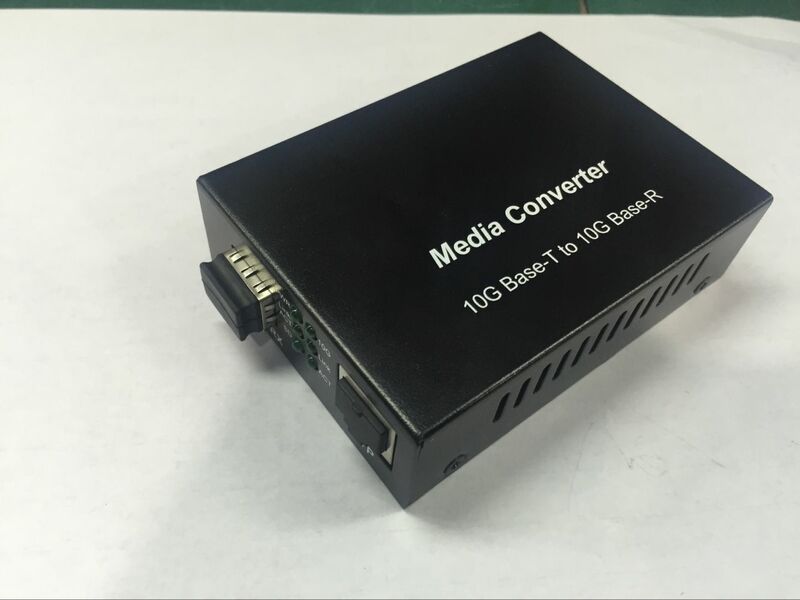 This converter can be used as standalone unit or as slide-in module to the 19" converter rack Chassis for use at a central wiring closet.